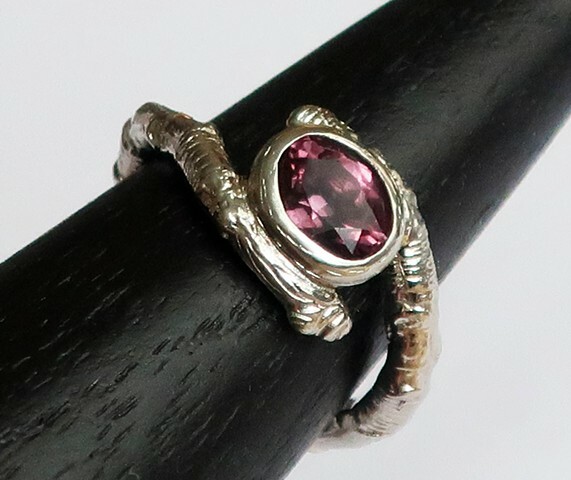 This is a custom ring I made for a lovely Australian customer, to give to her beautiful daughter on her 21st birthday! They had already chosen the stone, so they sent that to me in NY and then, at their request, I made a custom design based on my "Maccarren Park Twig Wrap Ring" to fit the stone. I love projects like this one!